“Where is your body taking your heart?” This is a question that I have been asking more and more in my work with emerging adults. I find that it is a startling, and sometimes disconcerting, question for many. We typically assume that the spiritual life works in one direction—a change of heart leads to a change of behavior. This is true, of course, but it neglects the reality that bodily habits and practices also work powerfully to shape the heart’s desires and passions. As ministers and mentors, we need to help emerging adults assess both the ways in which their (often unexamined) daily practices are shaping their hearts and the ways in which intentional practices might facilitate spiritual formation. Spiritual attentiveness depends on an awareness of the formative nature of the regular, habitual, bodily rhythms of life. To begin with, mentors can direct emerging adults to consider the ways they are being formed through their regular practices. Often unbeknownst to them, habitual practices are directed towards particular ends, pre-loaded, as it were, with visions of the good life that exert soul-shaping influence. As James K.A. Smith has suggested, we must move beyond unthinking repetition to ask, “Just what kind of person Where is your body taking your heart?is this habit or practice trying to produce, and to what end is such a practice aimed?”James K.A. Smith, Desiring the Kingdom: Worship, Worldview, and Cultural Liturgies (Grand Rapids: Baker Academic, 2009), 83. The activities in which they take part, the media they consume, the stores (online or bricks and mortar) they frequent, the organizations they join, all carry with them implicit (or explicit) visions of human flourishing that inevitably shape their loves, desires, and life motivations. They actually carry with them implicit “gospels,” visions of sin, redemption, and ultimate hope, and such narratives can begin to subtly (and therefore perhaps more powerfully) shift the story that emerging adults see themselves existing within. Think, for example, of the practices that may accompany a typical week in an emerging adult’s life. Through participation in daily workout rituals at a local gym, they might gradually begin to incorporate a view of the good life in terms of the perfectly sculpted physique. At the gym, sin is depicted as excess body fat, redemption as daily fitness, and ultimate hope as “the healthy lifestyle.” Similarly, regular consumption of media (movies, television shows, music) might set forth a certain vision of the good life in terms of sexual attractiveness or availability, consumer success, or vocational power and prestige. Sin may actually be depicted as selflessness in such contexts. Redemption and ultimate hope are viewed in terms of personal conquest, often at the expense of others. “We need to recognize,” Smith suggests, “that these practices are not neutral or benign, but rather intentionally loaded to form us into certain kinds of people—to unwittingly make us disciples of rival kings and patriotic citizens of rival kingdoms.”James K.A. 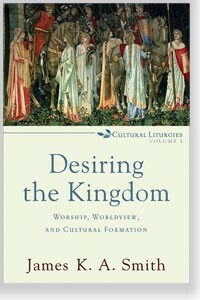 Smith, Desiring the Kingdom: Worship, Worldview, and Cultural Liturgies (Grand Rapids: Baker Academic, 2009), 90-91. As another example, emerging adults in college or graduate school might take time to consider the formative nature of their academic work. Daily experiences of reading, writing, studying, joining in classroom discussions, and experimenting in the laboratory are often dismissed as irrelevant to spiritual development. These processes, however, are shaping emerging adults in profound ways, especially in light of the sheer amount of time devoted to such pursuits. I have seen students who, in the midst of daily habits of critique in class writing or discussion, develop a critical spirit toward friends, authority figures, parents, or the church. Some develop patterns of workaholism or perfectionism that render them unforgiving of themselves and judgmental toward others. 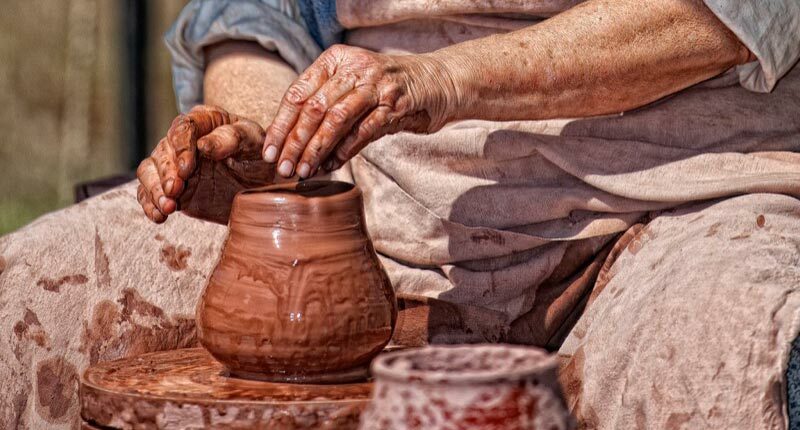 Work hard, play hard rhythms are formed, making them less able to find a place in their lives for close relationships, quiet times of listening to God, or serving and blessing others. Academic rituals provide fertile contexts for the development of particular vices: pride, fear and insecurity, envy of other classmates, sloth, image management, and dishonesty. Academic success (and its promise of future vocational prestige) can itself become a false eschatological hope for many. It would be naïve to think that such soul-shaping work would not carry over into other domains of life. Attentiveness to such formation is a necessity. Very little of our being lies under the direction of our conscious minds, and very little of our actions runs from our thoughts and consciously chosen intentions. Our mind on its own is an extremely feeble instrument, whose power over life we constantly tend to exaggerate. We are incarnate beings in our very nature, and we live from our bodies. If we are to be transformed, the body must be transformed, and that is not accomplished by talking at it.Dallas Willard, The Divine Conspiracy: Rediscovering our Hidden Life in God (San Francisco: HarperSanFrancisco, 1998), 322. Christian formational practices, such as spiritual disciplines and the rituals and liturgies of the church, are absolutely central here in connecting emerging adults to true gospel realities while breaking the automatic habits that often obscure the beauty of kingdom life. Disciplines of abstinence—such practices as solitude, silence, fasting, secrecy, celibacy, and frugality—both alert the soul to growing forms of idolatry (to food, to verbal feedback, to impression management, to materialism, etc.) and open up necessary space to attend to God in the midst of the flow of life. Disciplines of engagement—such practices as studying scripture, prayer, worship, celebration, service, and confession—can connect emerging adults to God’s presence and power while reminding them of Kingdom realities that are often concealed by the false gospels of this world. Without such regular practices, it becomes very difficult to counter the deceptive narratives that are pumped out by the media/consumer/entertainment complex on a daily basis. Yet I often remind emerging adults that these practices are not only formational. They are also counterformational. In other words, they can serve as a centripetal force in their lives, helping them maintain their orbit around the fixed point of the gospel. For example, I have an undergraduate student who began to recognize that his daily time in the weight room was beginning to skew his soul by developing pride These practices help emerging adults maintain their orbit around the fixed point of the gospel.and an overarching sense of worth and purpose rooted in physical prowess. He decided to begin and end his workouts with a simple prayer, “Lord, thank you for the gift of a healthy body with which I can serve you. May this workout make me better able to reflect and serve you throughout the day as the Creator of my body and this world. Amen.” This was a counterformational way for him to remember the source of his strength and the purpose of bodily fitness as a means of glorifying God. Another student found that her academic labors—particularly her approach to classroom discussions—were moving her in the direction of pride and self-sufficiency. Her attentiveness to this reality led her to insert a few new practices in her life. She began by listening and taking notes on others’ responses. She tried to talk to one student at the end of class, expressing thanks for the individual’s insights. She tried to avoid speaking until hearing from at least one or two others. She prayed before class that her comments would bless others and not puff herself up. Practices such as these helped her to enter such discussions receiving and offering academic gifts rather than vying for mastery, control, or self-promotion. These kinds of practices take mundane activities, enhance an alertness to their formational power, and provide means of recapturing them for God-honoring purposes. Prayers before shopping, worship in the midst of reading, or acts of service in one’s vocation can be critical avenues of spiritual attentiveness in the midst of the daily flow of life, reminding emerging adults of their souls’ formation while also reminding them of the presence of God in the midst of these activities. They turn all of life into a divine dialogue, opening eyes and ears to his word and work in all things. They can, in other words, wake emerging adults up to the present moment as a locus filled with spiritual importance. In my next post, I will talk a bit more about the critical nature of such present-mindedness in fostering attentiveness at this stage of life. 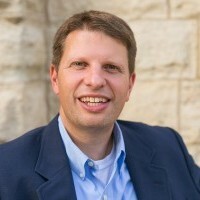 David Setran serves as Price-LeBar Professor of Christian Formation and Ministry at Wheaton College. He is the author of The College “Y:” Student Religion in the Era of Secularization (Palgrave, 2007) and co-author with Chris Kiesling of Spiritual Formation in Emerging Adulthood: A Practical Theology for College and Young Adult Ministry (Baker Academic, 2013).